Ramesh Nallapati, Feifei Zhai, and Bowen Zhou. (AAAI 2017) SummaRuNNer: A recurrent neural network based sequence model for extractive summarization of documents. SummaRuNNer 概略図 : Ramesh Nallapati, Feifei Zhai, and Bowen Zhou. (AAAI 2017.) SummaRuNNer: A recurrent neural network based sequence model for extractive summarization of documents. Abigail See, Peter J. Liu, and Christopher D. Manning. (ACL 2017) Get to the point: Summarization with pointer-generator networks. Pointer-Generator Networks 概略図 : Abigail See, Peter J. Liu, and Christopher D. Manning. 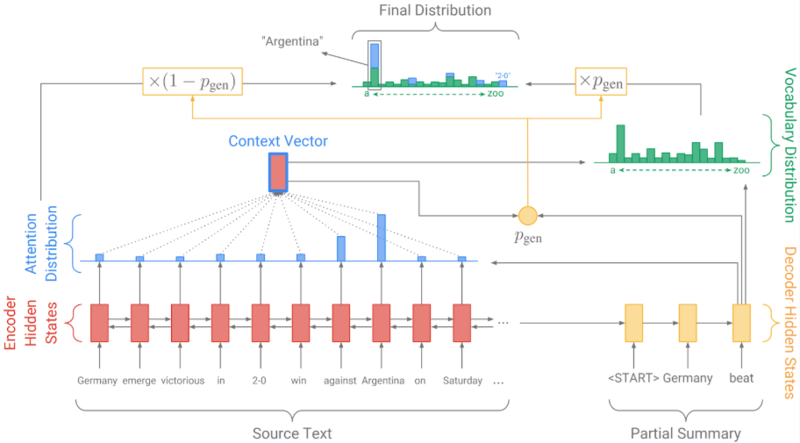 Get to the point: Summarization with pointer-generator networks. Yen-Chun Chen and Mohit Bansal. (ACL 2018). Fast abstractive summarization with reinforce-selected sentence rewriting. 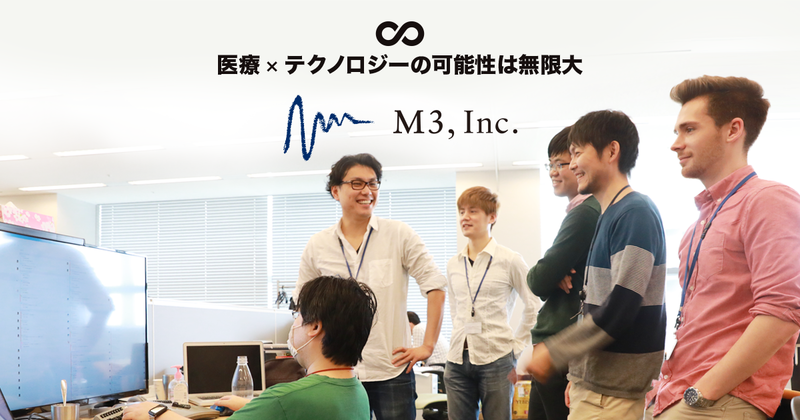 モデル概略図 (論文中の図を加工) : Yen-Chun Chen and Mohit Bansal. (ACL 2018). 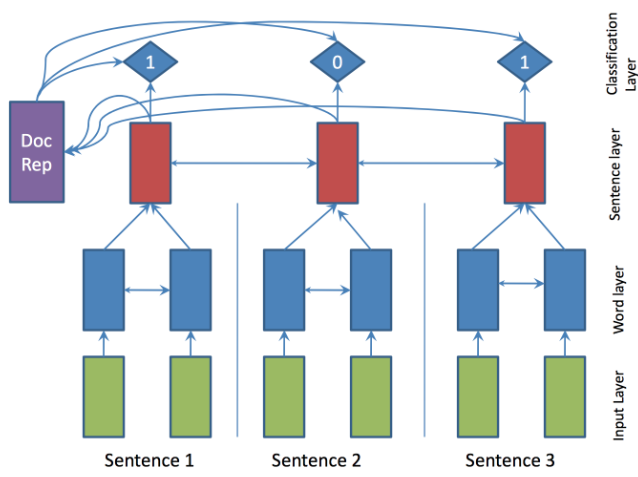 Fast abstractive summarization with reinforce-selected sentence rewriting.